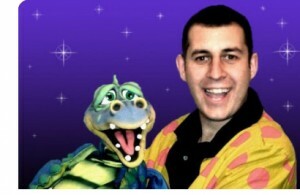 Magician Gedling Nottingham & Childrens Entertainer! Award Winning Magician Alex Michael Has been performing at events and parties in and around the Gedling area for the last 10 years. So much so, he now performs regularly at peoples houses and many times at children’s birthday parties mainly at the Gedling Memorial Hall. What do you get when you book Gedling magician Alex Michael for your childrens Party? You get great communication, you get peace of mind that he is CRB Checked, you get peace of mind that he is fully insured. Up to 10million pounds no less. Alex is fully recommended and most of Alex’s work comes from word of mouth and nearly all parents agree that Alex is the very best Childrens entertainer not only in Gedling but in the whole of Nottingham. Take a look at his testimonials page for more glowing recommendations. For prices or more details please contactalex@alexmagic.co.uk or phone 07890 217 203.